Let’s face it. Times are still tough and money is still tight, but your workload certainly isn’t. We all know the very popular Microsoft Office applications aren’t exactly cheap, but they’re still necessary. Well there are ways to get the job done at just the right price, free. Whether you’re using Windows, Linux, or Macintosh there is a free office suite alternative out there for you! Let’s check it out. Apache OpenOffice has been available to the public since 2000. 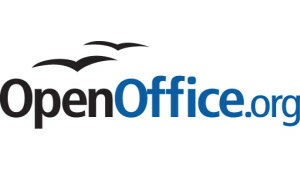 Now maintained by the popular web server software developer Apache, OpenOffice is one of the most popular free office alternatives today. One of the great benefits to this software, as well as other free office suite solutions is its compatibility to Microsoft Office file formats. Calc – a powerful spreadsheet with all the tools you need to calculate, analyze, and present your data in numerical reports or sizzling graphics. Base – lets you manipulate databases seamlessly. Create and modify tables, forms, queries, and reports, all from within Apache OpenOffice. As mentioned earlier, Apache OpenOffice is compatible with Microsoft Office file formats. You can open, edit, and save into Microsoft Office formats. You can read from .doc, .docx, ,xls, .xlsx, .ppt and .pptx. You can save to .doc, .xls, and .ppt. Apache OpenOffice supports Windows, Macintosh and Linux environments. To check out more about them, visit their website at www.OpenOffice.com. There are certainly more free alternative office suits available to you. Check out LibreOffice (Windows / Mac / Linux), Google Docs (web-based, works with modern web browsers), NeoOffice (Mac) and iLIfe / iWork (With purchases of new Macs or iOS devices, or you can upgrade if you had a previous version of iLIfe and iWork.). OmniSpear, Inc is always looking at the new and innovative products that come from our wonderful industry! We embrace and utilize different software and hardware solutions to meet our customers needs and their budget. For more information, visit www.DaytonITSupport.com. and www.OmniSpear.com.